Have you ever tried on a nail polish for the first time and at the first sweep of paint, you go "this is perfect"? That's what I did when the very first coat of CND Vinylux polish in Rubble was applied to my nails at The Nail Studio. I must admit that after my Shellac experience, I wasn't very impressed especially since it didn't last the promised 2 weeks. 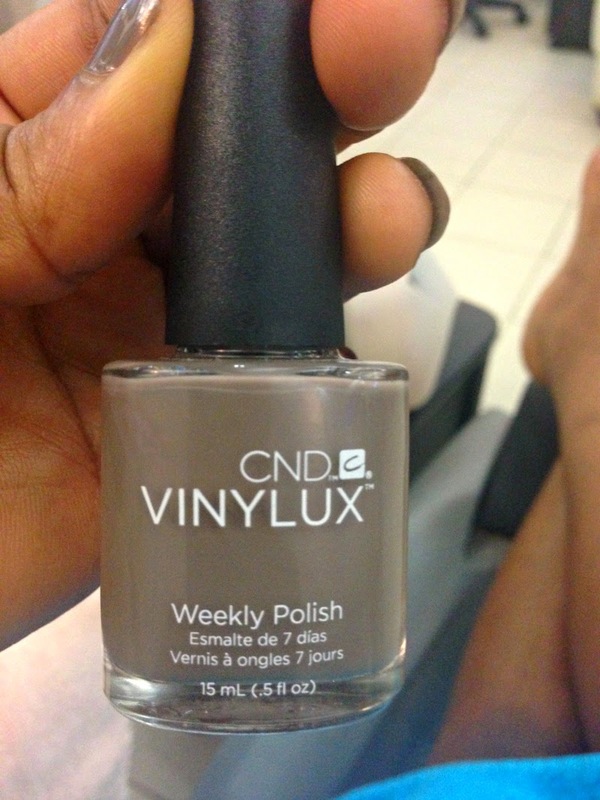 I wanted something that would last for more than 3 days and the Vinylux was proposed to me. 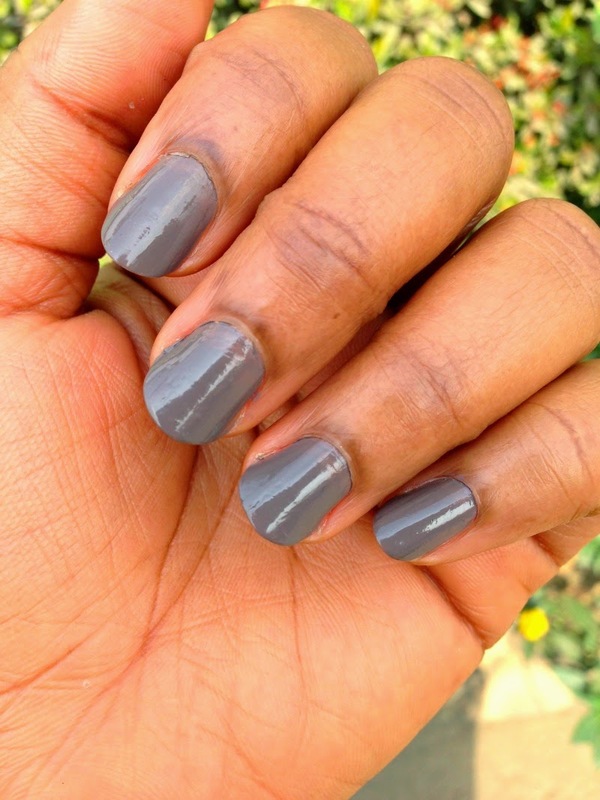 Trusting the CND brand, I decided to give it a try and Rubble was the perfect shade. When first applied, it was the exact same shade as my skin and it was love at first sight. Rubble is a greige colour ie. 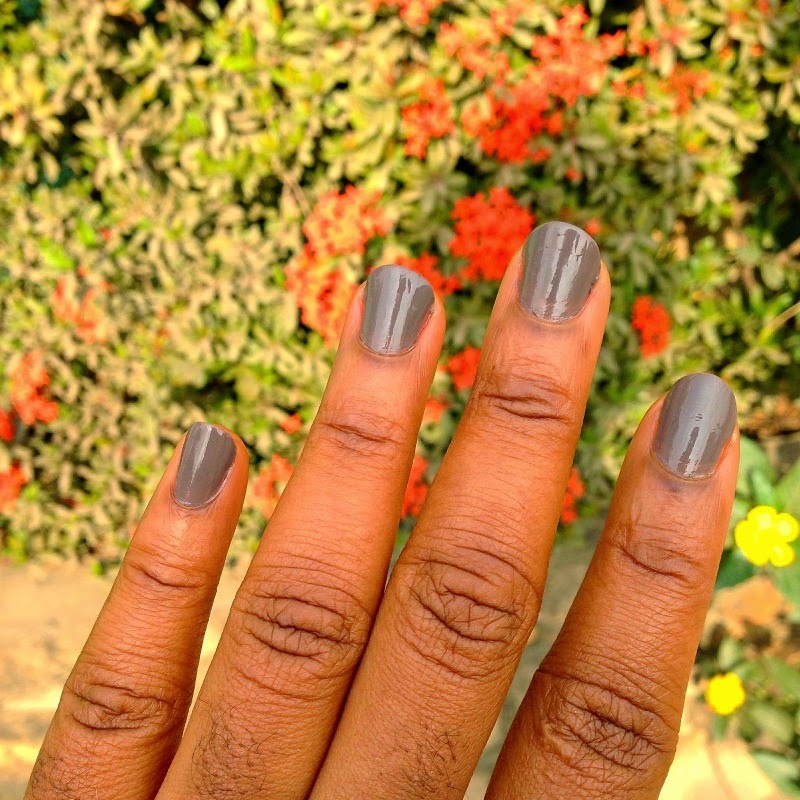 a mix of grey and beige with more of a cool undertone which for some reason actually suits me. The good Lord knows I was really rough and tough with my hands the week I had Rubble on. - On Sunday, there was a chip at the edge of my right thumb. - On Monday, there was a tip on my right middle finger and left thumb. - On Tuesday, I jammed my right little finger in the lock of a Client's bathroom and it chipped at the base of the nail. -On Wednesday, there was a larger chip at the edge of my right thumb. So on Thursday, I applied Milani Top coat on all my nails and was good to go till Saturday when I'd get a change of polish. CND got this shade right and I certainly wish I could wear it over and over every single week.....but that will be dull especially when I am supposed to be injecting some colour into my life, lol. 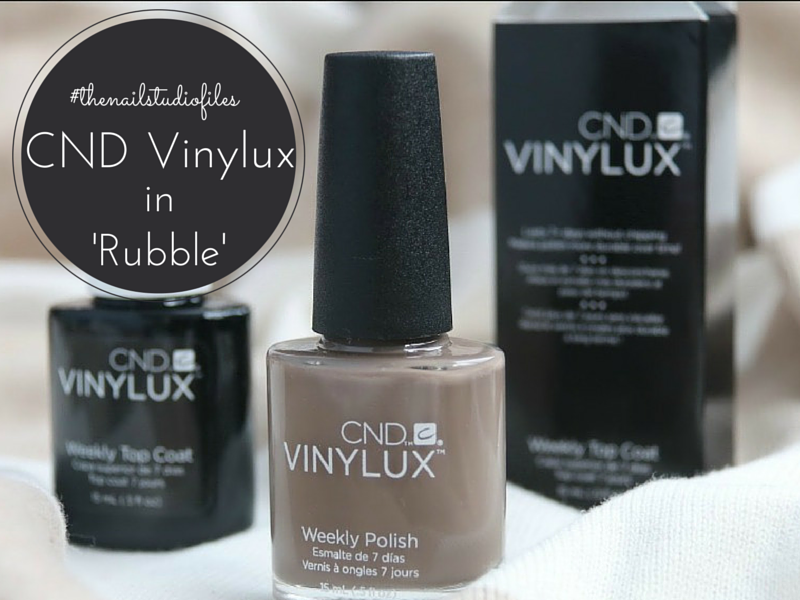 Have you tried any of the CND Vinylux shades? What do you think about Rubble?